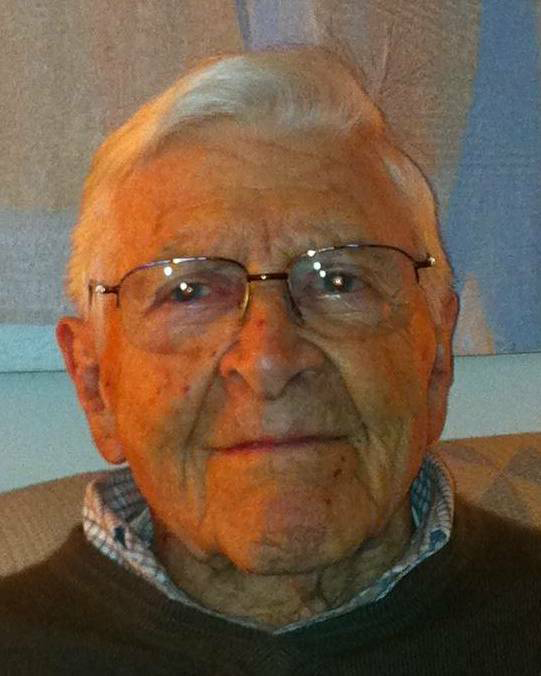 Roy, aged 96, of Wilmington, DE, passed away on September 3, 2014. In addition to his UBC degree, he received a degree in civil law from McGill University. He proudly served in the Canadian Army working in the lab on chemical warfare products. Roy was employed by Ridout & Maybee, LLP, a law firm practicing patent law in Canada. He worked for DuPont in Wilmington, Haseltine Lake in New York, Johnson & Johnson in New Brunswick, NJ, and Hercules in Wilmington, from where he retired in 1994. He was a member of the Patent and Trademark Institute of Canada and Mensa. Roy enjoyed attending the University of Delaware/Osher Lifelong Learning Institute, both to teach and take classes. He had numerous professional papers published. His passion was reading and writing. He was an avid current events enthusiast and was very active in his community. He enjoyed spending time with the family. Roy was predeceased by his parents and his brother, John, of Victoria, BC. He is survived by his loving wife of 44 years, Monika; his sister, Marjorie (Ray) McFadden; daughters Francis Ann (Edward) Borisenko and Victoria Stagg; grandchildren Adam, Andrea, Andrew and Malcolm; great‑grandchildren James and Thomas; and numerous nephews and a niece. In lieu of flowers, you can donate to www.creston.museum.bc.ca. At UBC Roy was very active in the Players’ Club. Upon graduation and commissioning as an officer in the Canadian Army his degree in chemistry led him into the Chemical Warfare unit. We connected in Ottawa and in Montreal and I was pleased to be an usher at his wedding in Toronto. All good memories!